Zillow is the leading real-estate and rentals marketplace for consumers in America. The company aims to empower people through data and insights to help them find a home they love. 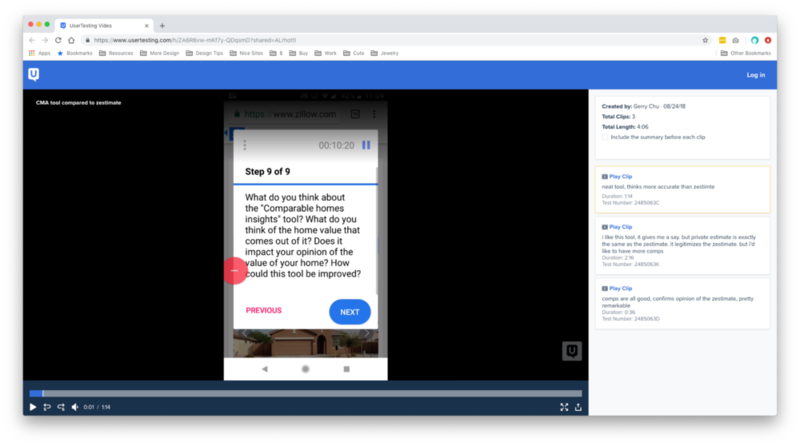 The challenge was to redesign the comparable market analysis tool (CMA tool, for short), to be more user friendly and help homeowners feel more confident about the market value of the home. 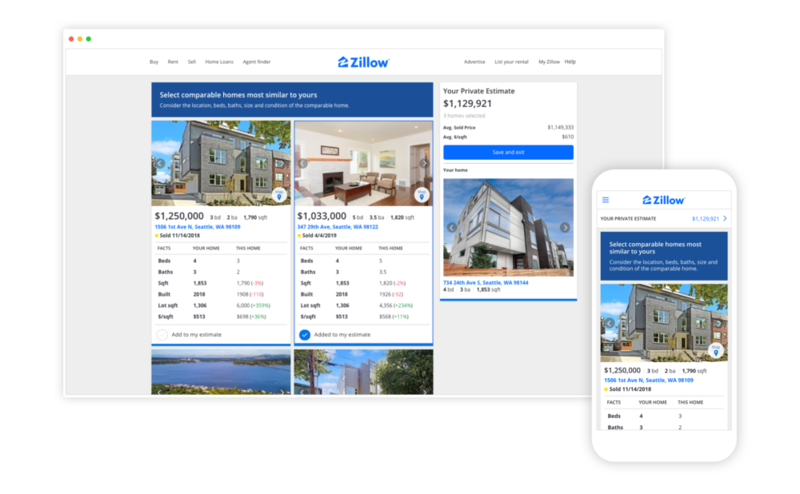 The outcome of the redesign was that homeowners who used the tool felt that they had more control in estimating their home value and had greater trust in the Zestimate (Zillow’s automated home value estimate). User feedback indicated that people found that the flow was unintuitive. There was also an opportunity to update the feature to use the new design patterns and be usable on mobile screens. How might we simplify the process for generating a Comparable Market Analysis? The old model involved several steps and only provided the estimated home value at the very end of the flow. What if we condensed the steps and gave immediate feedback on how a chosen comparable home affects the estimated value? The mobile design flow ended up being slightly more complex due to screen size constraints. To test the design, 12 homeowners from usertesting.com used the tool on both desktop and mobile. Overall, users appreciated the level of control, which increased their trust. There were a couple people who thought their Zestimate was low, but after going through the tool, they trusted the Zestimate more. Trust decreased when they were presented comparable homes with missing photos and missing data. While working through the interaction details for the tool, it was very tempting to create custom modules and elements. 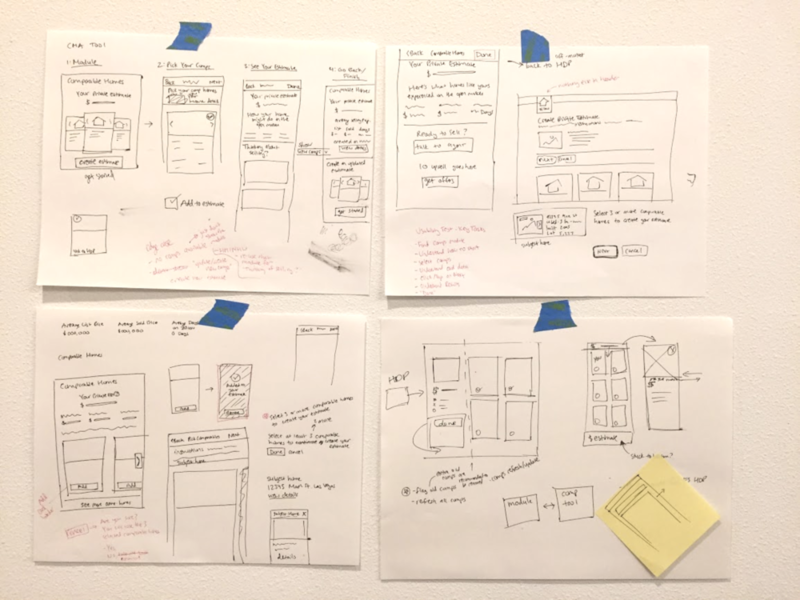 However, while working with the Design Systems team, I found that there were actually many existing patterns I could reuse or adapt slightly and still meet requirements. How might we adapt this tool to benefit home shoppers who are evaluating how much to offer on a home?